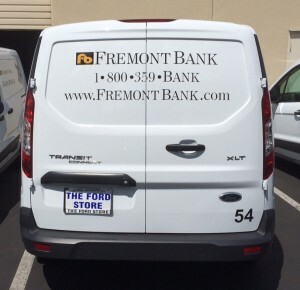 We’ve talked about vehicle graphics before. There is a whole gamut of options from full wraps to simple text graphics for cars and trucks. There are merits to both approaches. But we’ve noticed over the years that in majority of cases simple graphics will meet the clients’ needs at substantially reduced costs. Case and point; Fremont Bank. 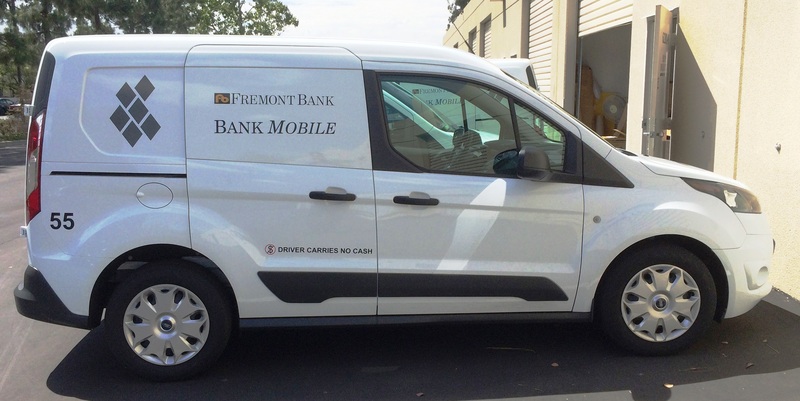 We’ve been producing the Bank’s vehicle graphics for many years. 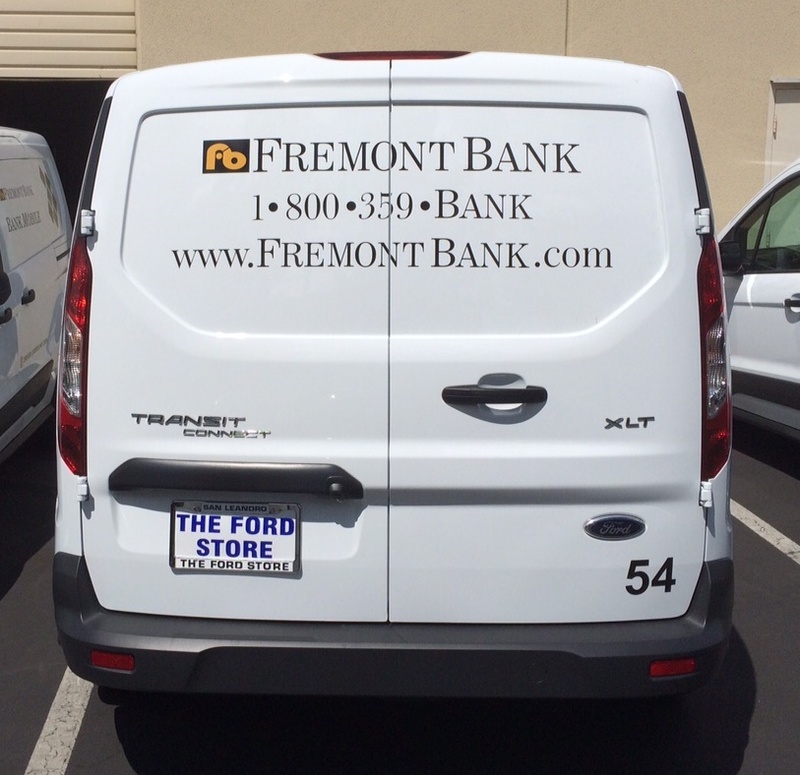 But recently they changed their approach and went from a partial wrap to a more subtle design for their vans. Some photos of the more recent fleet graphics we did are attached below. This design also makes updating or changing the graphics more efficient and cost-effective.